Important note - Unicode support was added to Repeat Signage 2013 versions V2.5.8 and above. If you have a version number below this, then please download the latest version from our website. Many website designers create pictures of text which use non-standard fonts, such as in logos, etc, as when a website page is displayed the user may not have a particular font installed so the website page will not display as designed. So creating an image and putting the text in this gets around the problem. You can do the same with Repeat Signage. You could create pictures with your unicode text (Chinese, Japanese, Indian, Greek, etc) within and then display it with Repeat Signage's Picture control. Again, you need to make sure that the filename of pictures are in Latin characters, for example: MyGreekPicture.jpg. You would then need to resize this control to see the rest of the website page or use the Static website page option to display the entire page within your control. 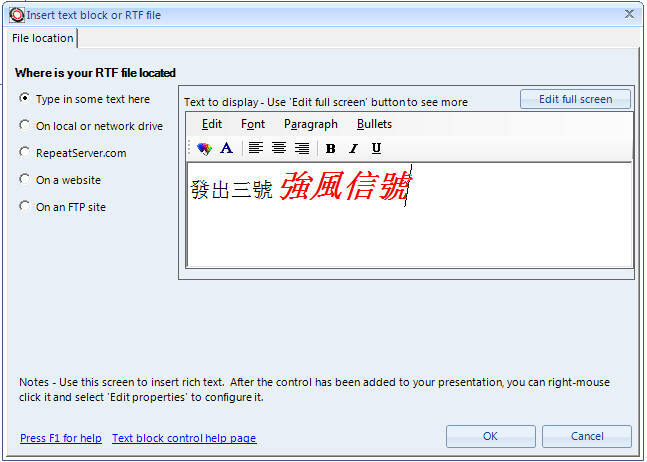 The Flash RSS control will display RSS 2.0 feed XML files with Unicode characters. The Flash banner control allows a series of pictures to be displayed with transitions such as fade between them. This also allows two lines of text to be displayed along side each picture. 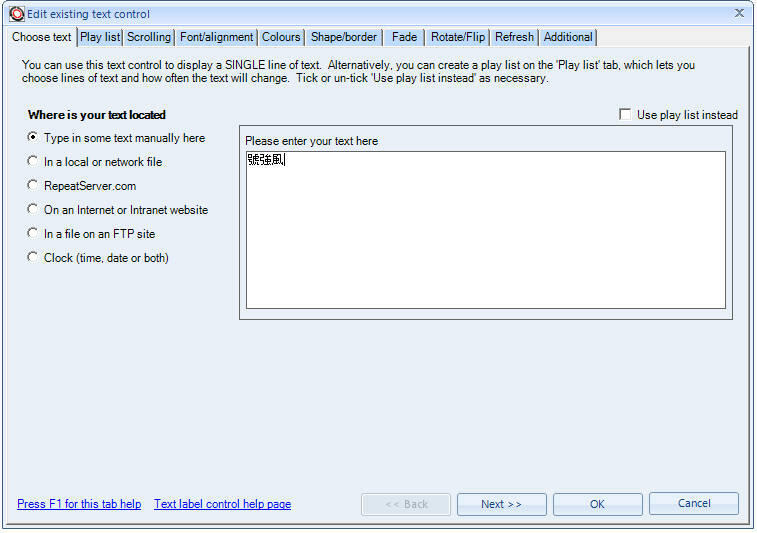 You have the choice of collecting a XML text file from a free www.repeatserver.com account or manually creating a play list. 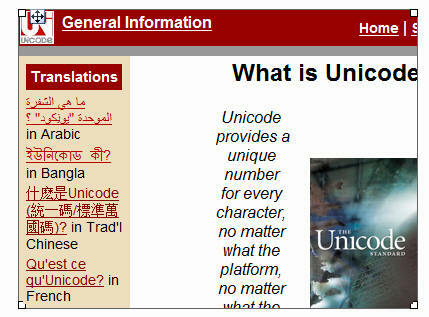 Both allow Unicode characters. RepeatServer.com is our free service for creating and hosting RSS feeds and also allows the use of Unicode characters within RSS feeds, text blocks and text labels. However, you currently have to make sure that the filenames themselves do NOT contain Unicode characters. Help page and Repeat Signage software copyright © 2009-2018 Repeat Software Ltd. All rights reserved.